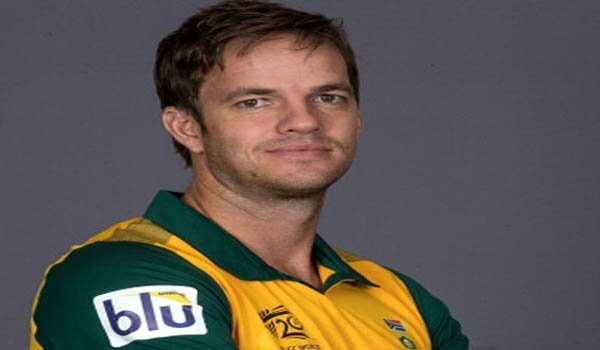 Johannesburg: South African all-rounder Albie Morkel has announced his retirement from all forms of cricket, bringing down curtain to his nearly 20-year of professional cricketing career. Announcing his retirement from the game on Wednesday, Morkel in a press statement said, "Time has run out for me on the cricket field, and I would like to announce my retirement from the game. He further stated,"The last 20 years of my life took me on an incredible journey, with so many awesome memories that I will cherish forever." He also took to twitter to express his feelings, "That's the end for me and what a journey it's been! Plenty of memories good and bad, but I was blessed with a very long career. Thanks @Titans_Cricket @OfficialCSA, will enjoy the game now from the other side. "Morkel has represented South Africa in 58 One Day Internationals (ODIs), 50 T20Is and one Test, in which he amassed overall 1,412 runs and took 77 wickets. Indian Premier League (IPL) francise Chennai Super Kings also thanked the Protease cricketer for his contribution to the team.They twitted, "Yellow Thanks! Your contributions with the last over smashes and the early wickets will All-Be Missed! #Endrum28"
" I want to say a big thanks to Cricket South Africa, because it was a huge honour to represent my country. Thank you to my family, friends, supporters and sponsors who were there for me through thick and thin, and most importantly my wife who played an unbelievable supporting role, allowing me to do what I love," cricket South Africa official website quoted him as saying. "Professional sport can be a ruthless space to operate in, and it's impossible to do it without a solid support system. Thank you so much," he added. Titans, a cricket franchise in South Africa, chief executive officer (CEO) Dr Jacques Faul declared that a farewell match will soon be organised for the all-rounder. He said, "He deserves a send-off, and also a chance for the Titans fans to say a fond farewell. It wasn't just for Titans that he was a massive player because he also served the Proteas with distinction." "He was one of the most destructive cricketers in domestic T20 cricket, and he will be really missed. We wish him all the best in his new ventures," Faul concluded.Morkel after announcing his decision also thanked the Titans' CEO adding that he will forever remain a huge Titans fan.